Stephen Harper is Canada’s 22nd and current Prime Minister. Stephen Harper was born on April 30, 1959, in Toronto. His political career has its first whiff when he joined the Young Liberals Club (YLC) in high school. He graced the seat of a prime minister in the year 2006. Harper has been working for making the Canada prosperous ever since. 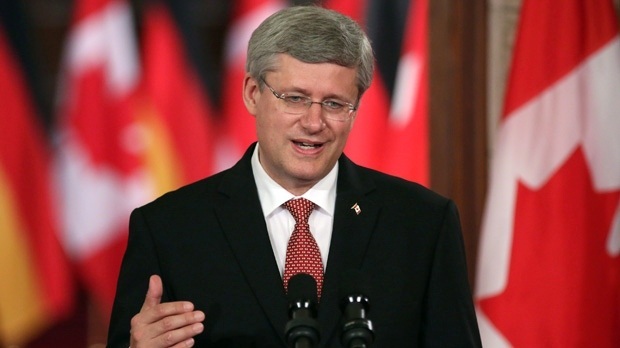 Harper received his bachelor’s degree, in 1985, and master’s degree, in 1991, in Economics from University of Calgary. Before entering the politics, in 1981, he moved to Alberta to work in the oil fields. In high school, Harper was the member of the YLC however, due to some disagreements on Pierre Trudeau’s government’s policies, Harper left the party for good. In 1985, he joined Progressive Conservative Party of Canada but later left the party in 1986 when he was not satisfied with the party’s management and efficiency. Apparently, politics was not Harper’s first love. In 1988, Harper ran for Canadians House of Common, as a member of Reform Party, for the first time. However, Harper lost the election by a wide margin. In 1993, he stood again and this time he won. During his first year in Parliament, Harper performed efficiently. He was active on constitutional issues and he helped his party in coming up with good plans and strategies. After the disagreement with Reform Party’s leader, Harper didn’t run in the election of 1997. He dropped out of the party and joined National Citizens Coalition. The party’s philosophy was to free Canada from high taxes and to found free-market capitalism. However, in 2001, Harper resigned from the party and joined Canadian Alliance Party. Harper again entered the Parliament in 2002 under the banner of Alliance Party. In 2004, Alliance Party merged with the Progressive Conservative Party and formed, Conservative Party. Harper became the leader of the Conservative Party in the same year. In 2006, the Conservative Party won the elections and Harper became the Prime Minister of Canada. Ever since Harper became the Prime Minister of Canada, he has worked for the betterment of Canada. Harper’s effective domestic policies, economic management, and other foreign policies had helped in making Canada prosperous. Although Harper did prove himself to be a competent ruler however, Harper had been under the light of criticism as well. In 2011, Harper was accused for disrespecting the Parliament by withholding the information. He accused of other things as well. An election was called for in May 2, and surprisingly, amidst all the accusations, Stephen Harper won the election again and with the wider margin than before. The Harper administration has been working on reducing the taxes, enlarging and strengthening the military of the country, working on giving Quebec recognition, and planning to secure Arctic waters for energy resources. In Harper’s tenure, Canada has the most favorable Debt-to-GDP ratio. Harper again has his share of criticism. Harper is blamed for controlling the news media of the country. It is said that Harper regulates what should be known to the public and what not. This has created a lot of disliking for Harper as the public require having full knowledge of all the facts going on in their country. All Harper could offer to his public is, ‘Trust Us’. Even with one or two negatives, Harper’s overall efficiency cannot be declined. Harper is one of the patriotic men of Canada and Canada is lucky to have him as her prime minister. Working for the prosperity of his country, Harper is living with contentment with his wife Laureen, and two children, Benjamin and Rachel.